After the low-snow hiatus last year, the Crested Butte Extremes returned this year as part of the Subaru Freeride Series (SFS). The SFS is a series of 4-star Freeride World Qualifier events where athletes can accumulate points to try and earn a spot on the Freeride World Tour. 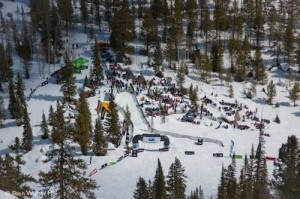 With a weak early season in terms of snowpack, the event had to be rescheduled to the end of March, and luckily there was enough snow to have the event. With beautiful weather on tap and awesome event staff at Crested Butte Mountain Resort and Mountain Sports International, the 2-star and 4-star events went off without a glitch or serious injuries. 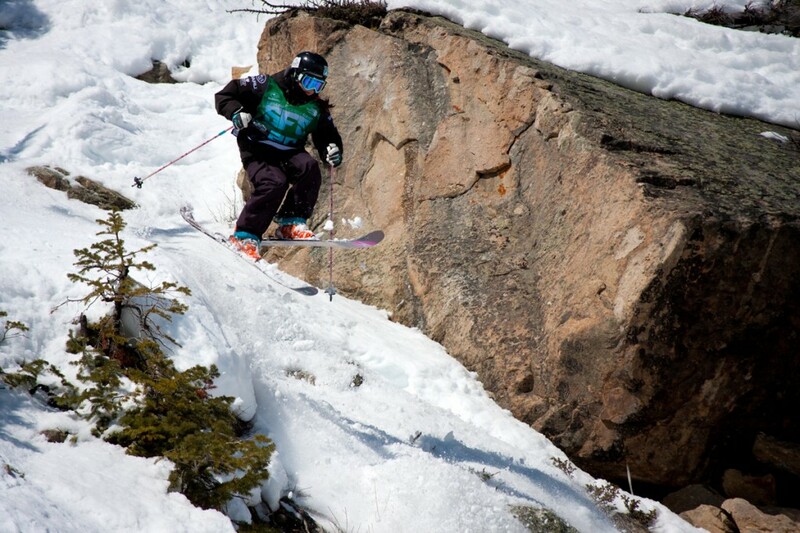 The low snow pack didn’t affect the skiing, however, as competitors blazed lines down the Headwall on Day 1 and Staircase and Slot Rocks for the finals. Both Conor Pelton and Francesca Pavillard-Cain carried a lead into the finals and were able to hold on for the victory. Conor’s creativity was on full display as he rode an 8 foot section of rock for his entrance into the Staircase gut and then spun a right-side 3 before a left-side 3 on his way down to the bottom. Francesca took the opportunity to show everyone that she in fact grew up skiing Crested Butte, making quick work of Staircase and finding a unique air in between the Staircase handrail and Slot Rocks. The Crested Butte ladies were out in force throughout the weekend. Ashley Bembenek finished in 2nd with a stand-out run on Staircase, and Sydney Dickinson, in her first alpine competition, finished in 4th. Ciera Glenn, who took the victory at the 2-star event on Thursday, finished 6th in the 4-Star, while Alex Riedman finished in 8th at the 4-star after taking 3rd at the 2-star. 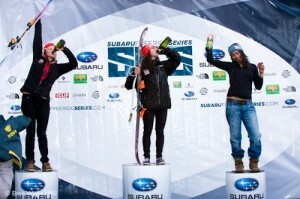 Sasha Dingle, of Bozeman, Montana, was able to crack the wall of Crested Butte women between her and the podium in the finals and finished 3rd at the 4-star event. On the men’s side of things, Neil Williman and Kyle Taylor rounded out the 4-star podium in 2nd and 3rd, respectively, while Davis Souza and Crested Butte’s own Jack Weise finished in 4th and 5th. Neil Williman moved up from 10th and earned the Sickbird belt buckle for completely destroying Staircase. 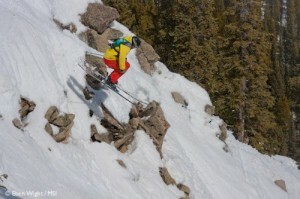 After doubling Angle Gully on Headwall, Kyle Taylor moved up to 3rd with a very successful run down Slot Rocks. Davis Souza, with a backflip off of Box Rock on Headwall then a backflip at the bottom of Staircase stayed comfortably in 4th. Jack Weise hit everything in his way coming down the handrail on Staircase and made major moves up the standings into 5th place. The CB ShredPosse had two more members in the top 10 with Rob Dickinson finishing in 8th place and Will Dujardin making moves from 23rd to 10th in the finals. In the 2-star event on Thursday, Crested Butte held it down taking the top 5 spots after competing on Hawks Nest. Ryan Hoynacki led the charge with the two biggest airs of the day, while Dave Sugnet, normally known for being the dirty park skier we know and love, finished in 2nd. 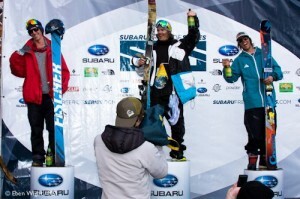 Romp Skis athlete, David Bunt, earned 3rd place while Benny Cohen and Will Dujardin tied for 4th. The boys made it rain Sierra Nevada, kicking off the weekend in style. Huge “Thank-yous” go out to everyone who helped make the 22nd (global warming-dependent) annual Extremes competition at Crested Butte possible this year. 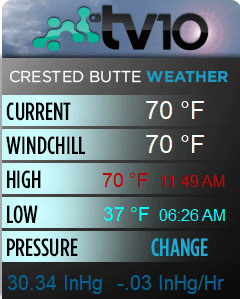 All the people at Crested Butte Mountain Resort from the event staff to the ski patrol deserve a hug and a beer. Thanks again to Mountain Sports International for making the trip to Crested Butte and putting on a great event. The next stop for the CB ShredPosse is the Subaru Freeride Series at Snowbird, April 10-14. See you there!